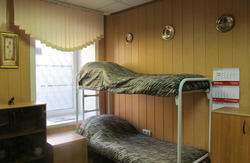 We are small and comfortable hostel located in the center of Saint-Petersburg on the corner of Nevsky Prospect and Mojka river embankment. At the walking distance there are main tourist places to visit. 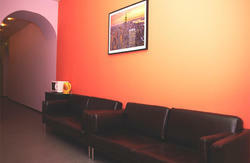 We will be happy to see you in our hostel! Our hotel is conveniently located at the crossing of Nevskyprospect and Moika embankment, right in the middle of the so-called Golden Triangle. You'll be within walking distance to Palace Square, The Spit of the Bazil Island and the Field of Mars. It will take you just a couple of minutes to get to Kazan Cathedral, Saviour-on-the-Spilt-Blood, the Bronse Horseman and St. Isaac's Cathedral. You can even use a river bus to enjoy the city tour as its stop is nearby. Check in from 14:00 to 16:00 . Our hotel is situated near three metro stations. It will take you 3 minutes to get to Admiralteiskya metro staion, 5 minutes to Nevsky Prospect metro station and 7 minutes to Gostiniy Dvor metro station. The bus and trolley bus stops are next to the hotel as well. So this way it will take you no more than 40 minutes to get to any part of the city.